Otitis externa is defined as inflammation of the ear canal. It is an extremely common, aggravating, and sometimes costly problem for dogs and owners alike. The reason otitis externa is so common in dogs is, in part, due to their ear anatomy (see below). Dogs have very long, narrow ear canals—inches long in some breeds. Halfway down is a right-angle bend that is a perfect place for debris and liquid to get stuck. Add to this the pendulous ear flaps that some breeds have (most notably, spaniels, beagles, and retrievers). This has the effect of sealing in warmth and moisture, creating the perfect environment for yeast and bacteria to flourish. If your dog has ever had an ear infection, you probably know the signs. Head shaking, scratching at the ears, redness of the ear canal, brown discharge from the ear, and a foul odor are all hallmarks of the condition. Some dogs will kick relentlessly at the ear or rub it on furniture or rugs in an effort to stop the itch. The result may be bleeding skin wounds or an ear hematoma. Depression and irritability can ensue as the condition progresses and the ear becomes painful. Hearing can be negatively affected. So can balance, coordination, and facial muscles in severe cases. The picture in this section is reprinted with permission by the copyright owner, Hill's Pet Nutrition, from the Atlas of Veterinary Clinical Anatomy. This illustration should not be downloaded, printed or copied except for personal, non-commercial use. Ear infections in dogs usually arise from a perfect storm of factors. 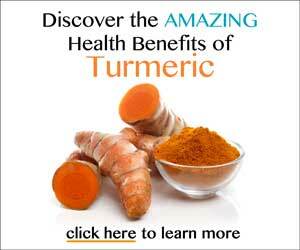 Primary factors are those which touch off the inflammatory process. They create moisture, heat, and stagnant air flow in the ear canal and help create the perfect environment for secondary factors—yeast, bacteria, swelling, and debris—to take hold. These secondary factors cause still more moisture, heat, and stagnant air to build up, resulting in a vicious cycle of misery for your dog. Certain dogs are especially susceptible to ear infections due to their heavy, pendulous ear flaps. The ear flaps trap warm air, debris, and moisture in the ear canal, creating the perfect environment for organisms to grow. Spaniels, Basset hounds, and retrievers are notorious examples of floppy-eared dogs that are especially prone to ear problems. Frequent swimming, exposure to plants and pollen, time spent in wooded areas where plant awns or burrs can get lodged in the ear, or simply the humid heat of summer can set the stage for ear trouble in dogs. Itchy, infected ears are a classic sign of allergic skin disease in dogs. In fact, otitis externa may be the first or only sign of many canine allergies. What starts out as a simple ear infection often becomes a chronic problem until the underlying allergy is diagnosed and treated. Otodectes, or ear mites, are less common in dogs than cats. Ear mites cause inflammation, copious discharge, and an intense itch that can lead to self-trauma and secondary infection. Luckily, ear mites are easy to treat with proper veterinary care. Plant awns or plant "stickers" can get lodged in the ear and cause intense scratching and secondary infection. Infected tumors inside the ear can trap moisture and debris and are the perfect place for organisms like bacteria and yeast to grow. Hormonal imbalances such as hypothyroidism and generalized skin disorders including seborrhea, can spark the inflammation that leads to otitis externa in dogs. A raging ear infection in a dog is hard to miss. But the treatment only works if both primary and secondary causes are addressed. Your veterinarian will first perform a full history and physical examination. Is your dog a swimmer? Been bathed recently? Is there redness, rash, or hair loss on the rest of the body, or are there other signs of generalized skin disease? What previous treatment has been tried and with what degree of success? Next, your veterinarian will hone in on the ears. This includes an external exam of the ear flap, the ear opening and related structures, as well as a deep look into the ear canal with a special instrument called an otoscope. A painful dog may resist this exam, so it must sometimes be done under sedation. Your vet may take samples for microscopic examination or for a culture to identify yeast and bacteria. Radiographs (x-rays) and biopsy may be indicated in some cases. Veterinary specialists often have high-tech fiber-optic scopes that allow even better evaluation and sample collection from the depths of a dog's ear. The first step in treating otitis externa is a thorough cleaning of the affected ear(s). (See box below.) A deep cleaning rids the ear of secondary factors such as yeast, bacteria, and debris. In mild to moderate cases, ear cleansing may be done within a routine office visit. Your veterinarian will use a medicated ear cleansing solution along with gauze wipes or cotton balls to remove excess fluid and debris. In severe cases, your vet may recommend that an ear flush be conducted under general anesthesia. Then, special probes and deep flushing equipment can be used. Once the ear is clean and dry, topical medications are prescribed to keep the yeast and bacteria at bay. Your veterinarian will prescribe ointments or solutions that contain any of a combination of antibacterial, anti-yeast, and anti-itch medications. In more severe cases, oral antibiotics, antihistamines, or even oral steroids may be needed to get infection and inflammation under control. For treatment to be successful, the primary factors contributing to the ear infection need to be addressed. This may require your vet to treat for ear mites, address allergic skin disorders, or remove a tumor or foreign body from the ear canal. Your veterinarian may recommend cutting back on swimming during the warm summer months, or at least following it with a good ear cleansing with a cleaner that includes a drying agent. 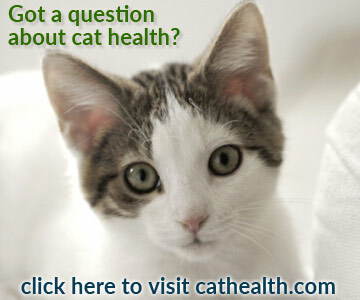 Your vet may do blood work and other diagnostics to probe for underlying health issues such as hypothyroidism. Years of infection and inflammation take their toll on the skin of ear canals. Scarring and swelling causes them to close down, trapping fluid and debris even worse than before. In time, the ear canals can literally solidify with hard-as-bone scar tissue. Major corrective surgery is often the only recourse at this point. Violent head-shaking from an intensely itchy case of otitis externa can actually injure the ear flap, breaking blood vessels below the skin surface. The result is an ear hematoma, or "pillow ear." Ear hematoma is painful if the skin is stretched far enough. Even if the dog does not seem painful, a hematoma should be treated promptly to reduce the chance of a disfigured ear flap. Treatment of an ear hematoma is surgical and involves draining the fluid from the hematoma and using special sutures to tack the ear flap flat again. Your veterinarian will also strive to identify and treat the itch-inducing ear problem, to decrease the chance of recurrence. If your dog shows any of these signs, take him to your veterinarian right away. It almost goes without saying that for ear disease, prevention is the best remedy. Cleaning your dog's ears regularly (see below) with a gentle ear cleanser can help keep problems in check. Consult your veterinarian for detailed advice on preventing otitis externa. The itch-free comfort will be music to your dog's ears.